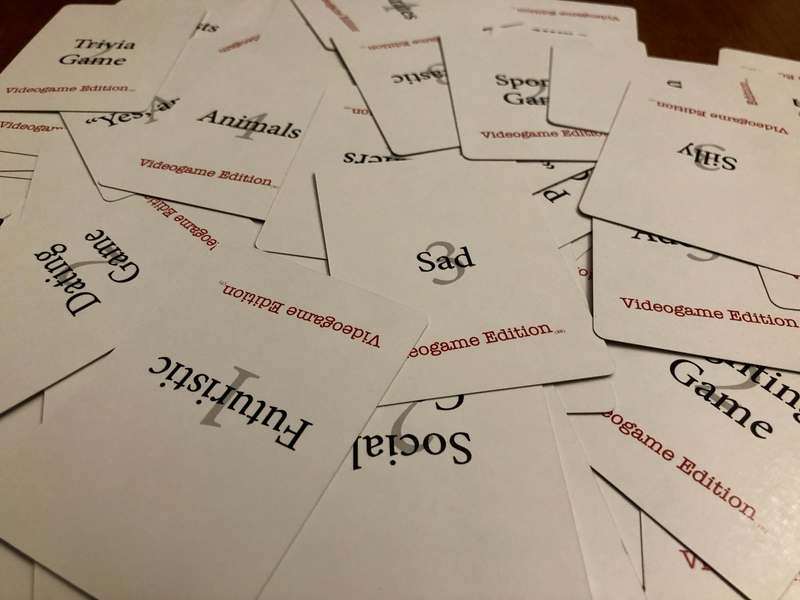 PitchFest: Videogame Edition is a card-driven improv party game about pitching ridiculous video games. It's going to be a wonderful idea... until the publishers get their money-filled hands on it. 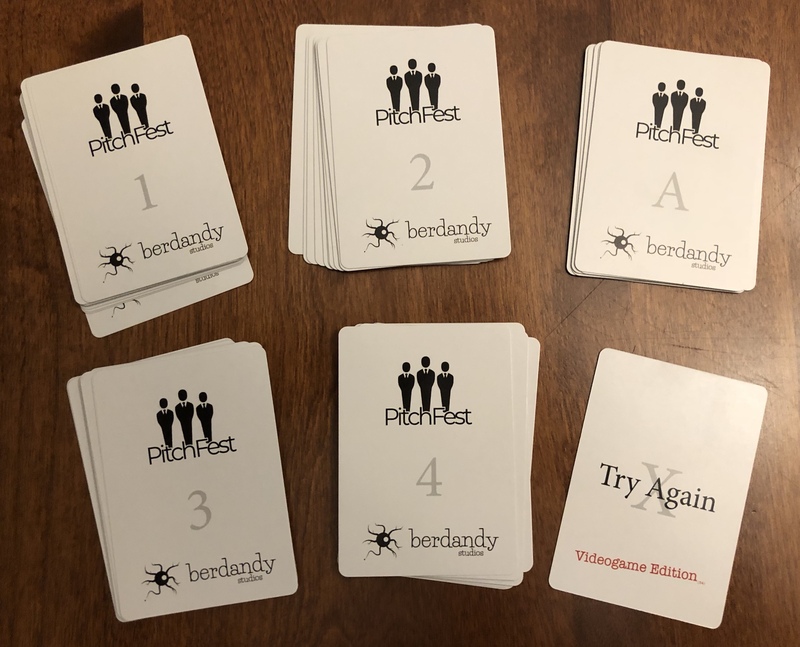 PitchFest is a comedic inventive game where you are inspired (and possibly confused) by your friends to pitch a video game. 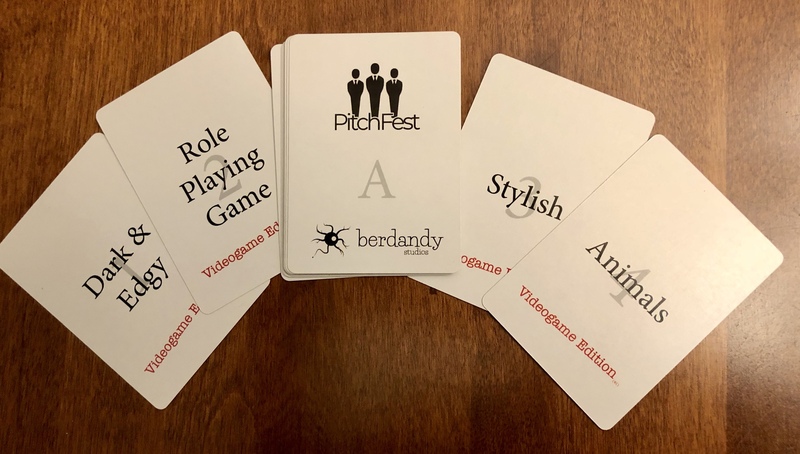 If you want to get all serious about it, PitchFest explores the power dynamic between small video game developers and large corporate publishers. Future editions of PitchFest may be combined with this edition to make a multi-media edition.